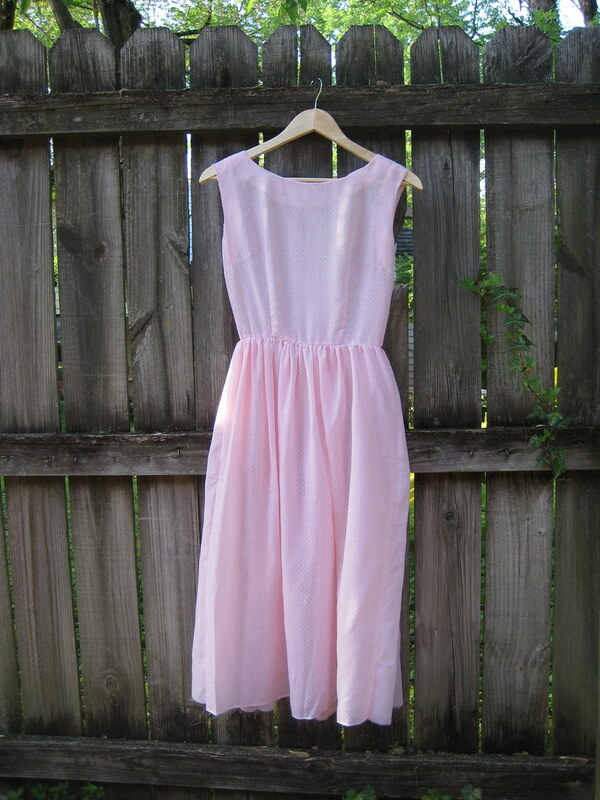 Hey, I sewed my second dress! As I told you guys last week, I used an old 1950's Simplicity pattern with a full skirt and no sleeves. I felt like moving from the 60's jumper I finished last week to this dress was a good way to go.. most of the steps were the same, but some things were a bit more complicated this time around. I also learned how to do armhole facing, skirt gathering, and different kinds of darts. 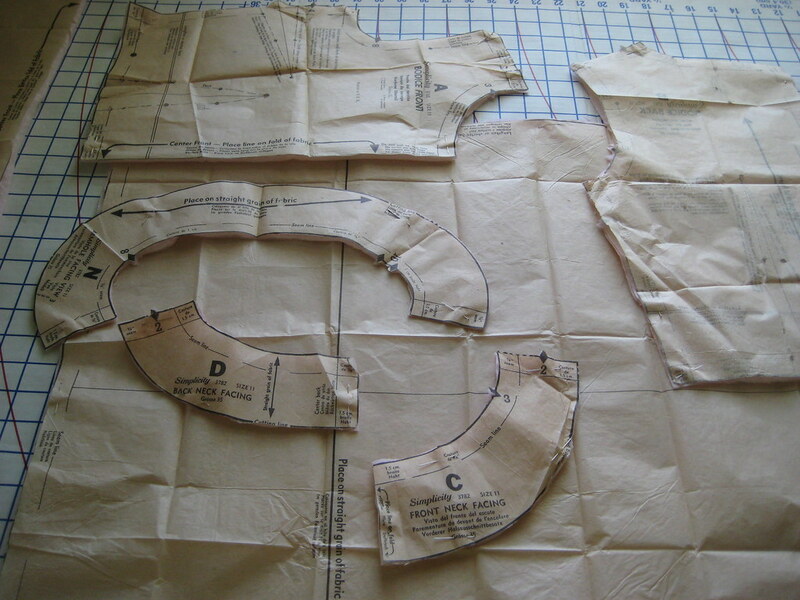 First, I cut the pattern pieces and marked them. 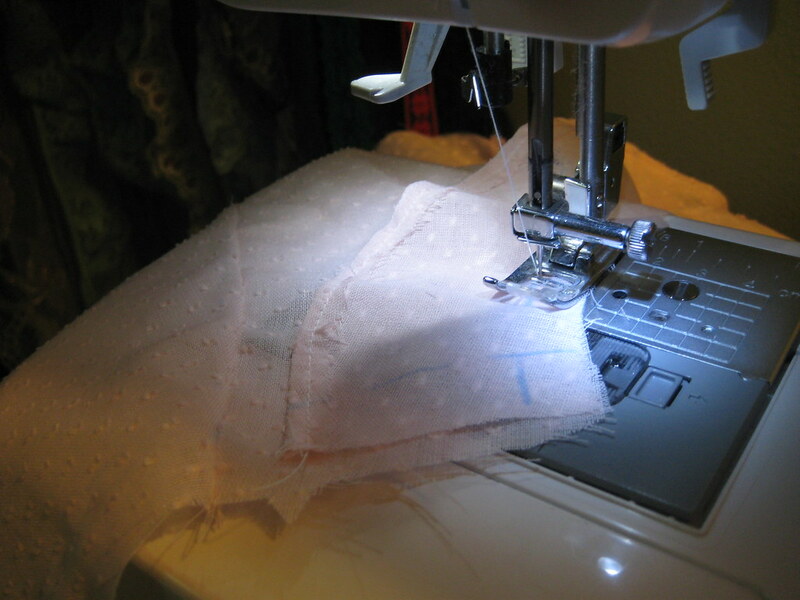 Once the pieces were marked with seam allowances and other markings, I started sewing (for those of you who wanted to know what kind of sewing machine I use, it's a Brother CE 4000 and I highly recommend it!). 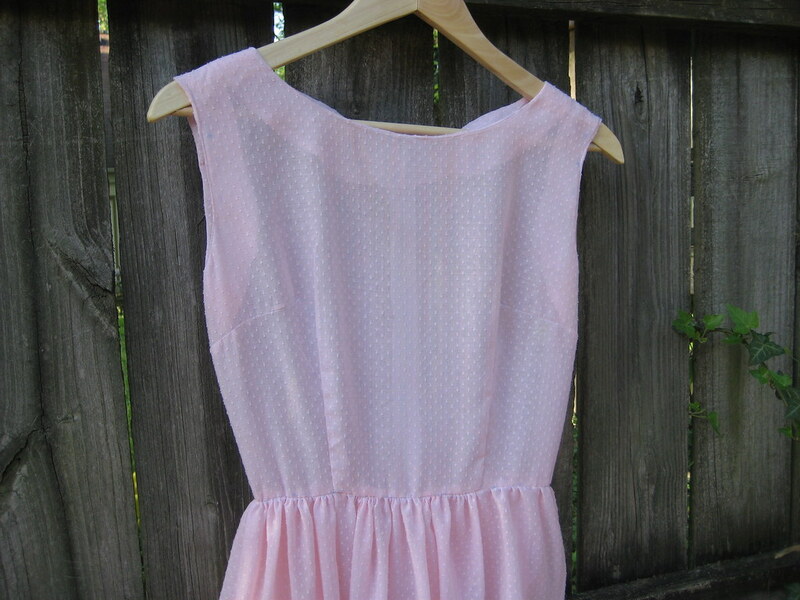 The bodice had eight darts in all, including two neck darts in the back. Once I finished sewing the darts, I attached the two bodice back pieces to the front bodice piece at the shoulders, then attached the neck facing and armhole facings. 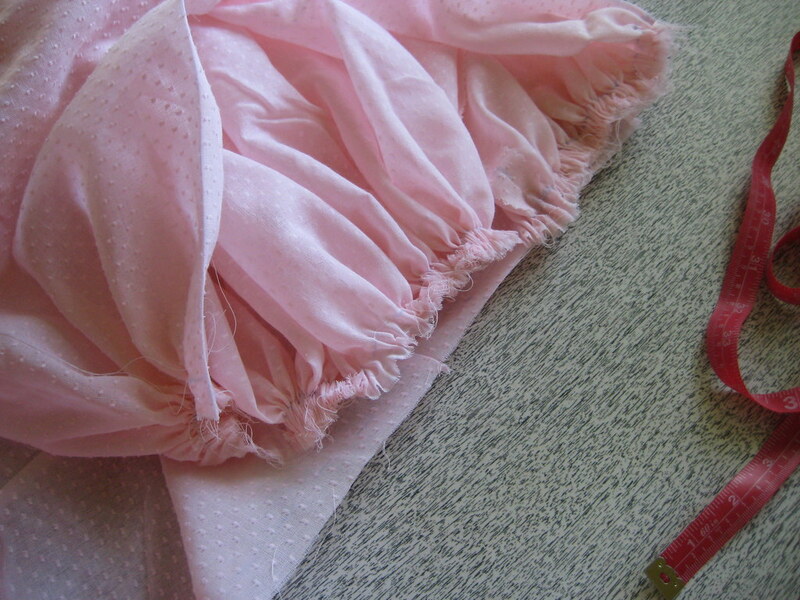 I sewed the side seams to finish. 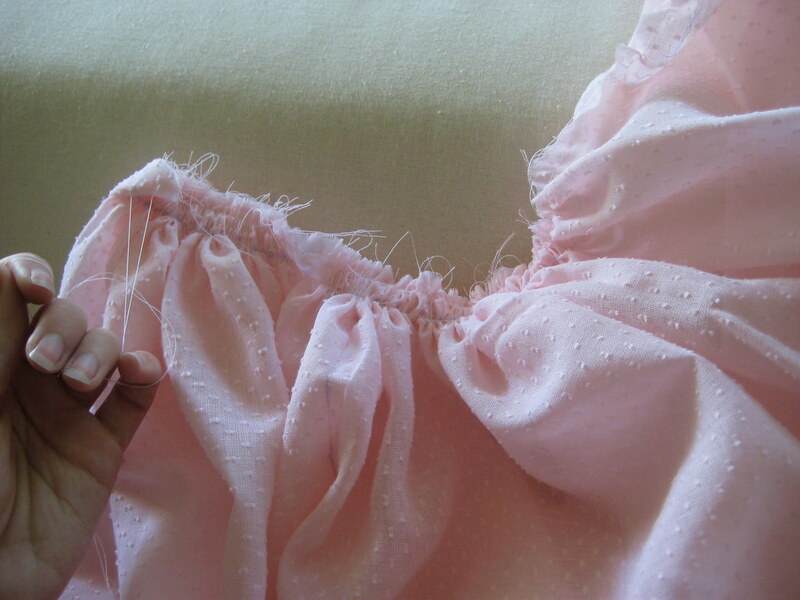 Once the bodice was done, I sewed the skirt pieces together and got to work on gathering the top of the skirt. By the way.. thanks for all of your suggestions and links to skirt gathering tutorials! With your help, I figured it out. I did two rows of stitching like you guys said and pulled the bottom threads, pushing the fabric along the threads. Once the skirt was gathered evenly, I pinned the bodice and skirt together, right sides facing one another, and sewed them. Then, I attached the zipper. 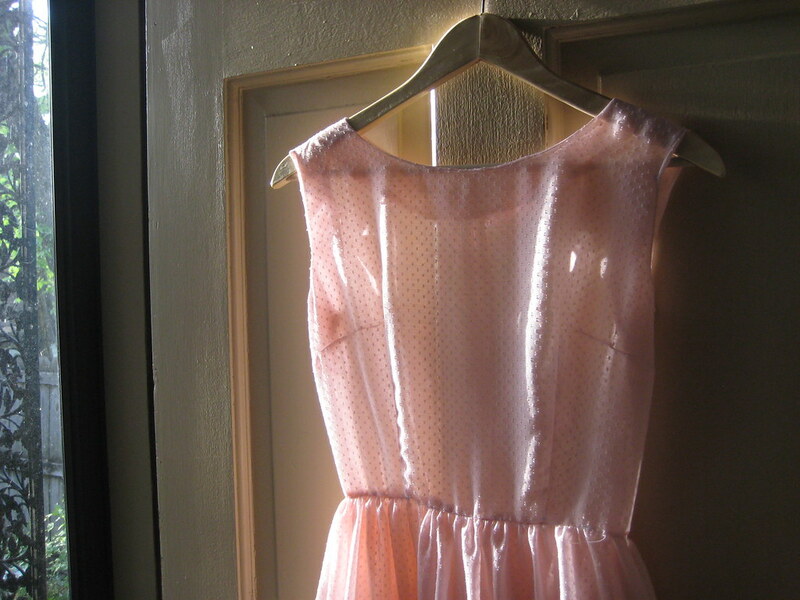 I actually have a couple of things to do to the dress before I can wear it to the wedding tomorrow afternoon. I have to cut the skirt shorter and finish the hem at the bottom. Also, I want to add some sort of detail at the collar. Eventually, I want to line the dress, but not before tomorrow. And I'm already planning my next Sewing Saturday. It will be a much smaller project than the last two! I'm excited to be able to start and finish something within just a couple hours, maybe less. Last note.. I'm updating my blog roll on the right hand side of my page. If you have a blog and would like to share the URL on my site, leave a comment with your blog URL on this post and let me know that you'd like to share it! It's nearly 3 in the morning and I am beat. Apparently watching South Park and sewing dresses takes it out of you? Bedtime.